I was pleased to be asked by INASP and the Association of Commonwealth Universities to facilitate the 7th Publishers for Development (PfD) meeting which took place on 30th June in London on one of the hottest days of the year so far. I had heard of PfD as a fledgling group while evaluating an INASP programme about five years ago. It was striking, then, to now find such an established group with excellent camaraderie and, working relations, very focused on how to work responsibly in developing countries. Discussions focused on the five principles developed by INASP which include understanding country context, respecting a country’s wish to work as a consortium, not making sudden changes, thinking long-term, and being realistic about sales. 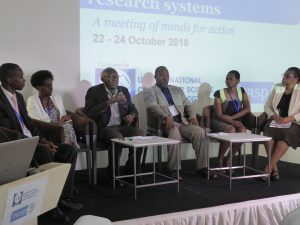 The principles aim to support publishers working in developing countries to balance their commercial aims with being a supportive partner to researchers and others in Africa, Asia and Latin America. 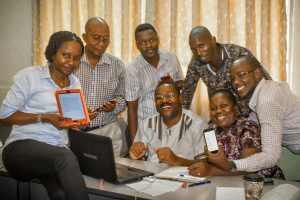 Sustainable access to e-resources is vital for any researcher to be able to engage with the global body of knowledge, and the principles address this. Some excellent presentations included a scene-setting overview by Dr John Kirkland of the ACU who highlighted some key trends in higher education and research. He referred to the rapid expansion of and expectations placed on higher education globally and the greater presence of developing countries in international research communities. Dr Kirkland also made a timely reminder that the majority of researchers are part of a great body of institutions and people who are still working in extremely difficult and resource-poor conditions, thus lacking opportunity to engage in global discussions. While acknowledging the value of local publishing, discussions in this meeting were rooted in the context of publishers from the global North supporting access for researchers, librarians, universities and research institutes in developing countries. Insightful presentations from Dr Joel Sam (Consortium of Academic and Research Libraries in Ghana) and Dr Sophia Kaane (Kenya Libraries and Information Services Consortium) highlighted the value of access to e-resources but also reminded us of the complexity and unpredictability of country contexts. 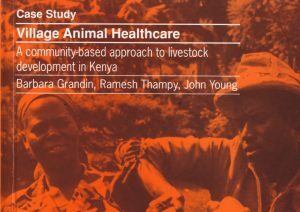 They illustrated the value of their consortia in engaging with publishers as well as the challenge of balancing commercial relationships with publishers with the needs of member institutions and the unpredictability of their resources. The publishers’ perspectives were presented by Jonathan Wynne of Wiley and Olga Middleton of Elsevier who were able to show that the principles were not at odds with their commercial aims. But they also shared challenges from their side, for instance in dealing with an increasing range of research organisations in countries and in balancing engagement with consortia and Ministries of Education. 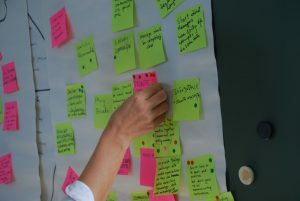 In the afternoon, discussion groups worked through the practical implications of applying the five principles to their work. Some key messages resonated throughout. These included the need for communication between publishers and consortia; communication that needs to be clear and sustained. The benefits to all parties of long term thinking and agreements also surfaced repeatedly. It was striking to hear the consensus in thinking, and commonality of aims between Southern research institutions and Northern publishers which at first sight would seem to be coming from very different places. Reminders of the dynamic environment in which work is taking place brought the meeting to a close, for example the development of new products and technologies which we can’t even imagine at present. The room concluded that the focus needs to be on the practice of the principles. This will need active input by publishers, consortia and research support organisations such as INASP and ACU as we consider the next steps.